Sibelius is the world's best-selling music notation software, trusted by top composers, publishers, and students alike. 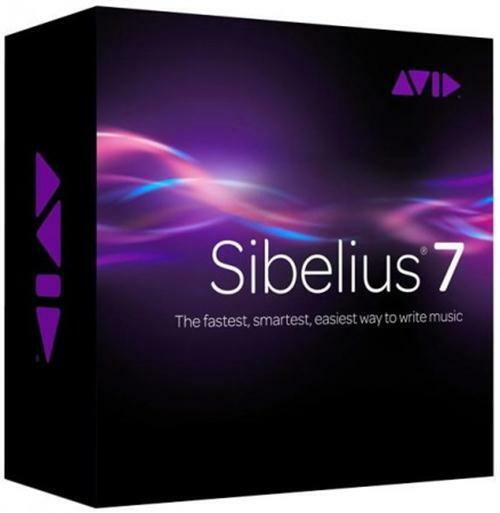 With Sibelius 7.5, you can express, accelerate, and promote your creativity in more ways than ever before, enabling you to deliver beautiful, professional scores faster and share audio and video versions of your work-with stunningly realistic musical phrasing-to make your talent stand out from the crowd. It's the fastest, smartest, easiest way to write music for live performance, film and television, media entertainment, or in the classroom. With the unique and fully redesigned Espressivo 2.0 feature, Sibelius 7.5 gives you complete control over and customization of the rhythmic feel of any individual part to produce more expressive and realistic musical phrasings. And because the software can now better interpret such notation distinctions as tempo markings, metric emphasis, grace notes, mordents, caesuras, and breath marks on playback, you can hear every nuance of your score?the way you intended it to be heard. With the new Timeline window, you get a quick view of the entire structure of your score?no matter how large or complex?enabling you to navigate to any part fast for editing or playback. Simply click on any bar, in the timecode ruler, or on any landmark?the important objects that make up your score, including rehearsal marks, repeat structures, comments, key signatures, tempo, and more?to jump immediately to that section. Save a video file of your score to share your work with others on a DVD or online. Sibelius can export in a variety of resolutions?up to 1080p?in QuickTime format (.mov) on Mac or Windows Media Video (.wmv) on Windows, enabling others to see and hear your work without requiring Sibelius. Export Sibelius scores directly to Avid Scorch on your iPad (available on iTunes) for fully interactive playback, practice, performance, and publishing. Sibelius automatically optimizes your score for iPad display, paying special consideration to page orientation, number of staves, margin sizes, and more.